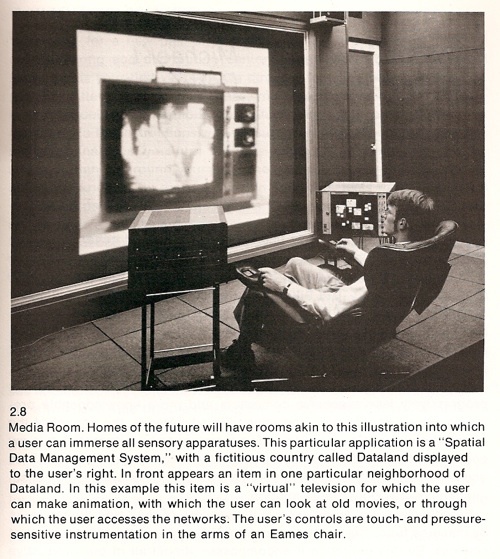 This media room of the future, featured in the 1979 book The Computer Age: A Twenty-Year View, is strikingly similar to the living room of the future we looked at almost two years ago. Media Room. 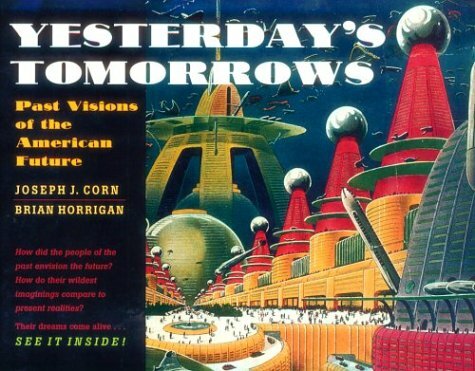 Homes of the future will have rooms akin to this illustration into which a user can immerse all sensory apparatuses. This particular application is a "Spatial Data Management System," with a fictitious country called Dataland displayed to the user's right. In front appears an item in one particular neighborhood of Dataland. In this example this item is a virtual television for which the user can make animation, with which the user can look at old movies, or through which the user accesses the networks. The user's controls are touch- and pressure-sensitive instrumentation in the arms of an Eames chair.